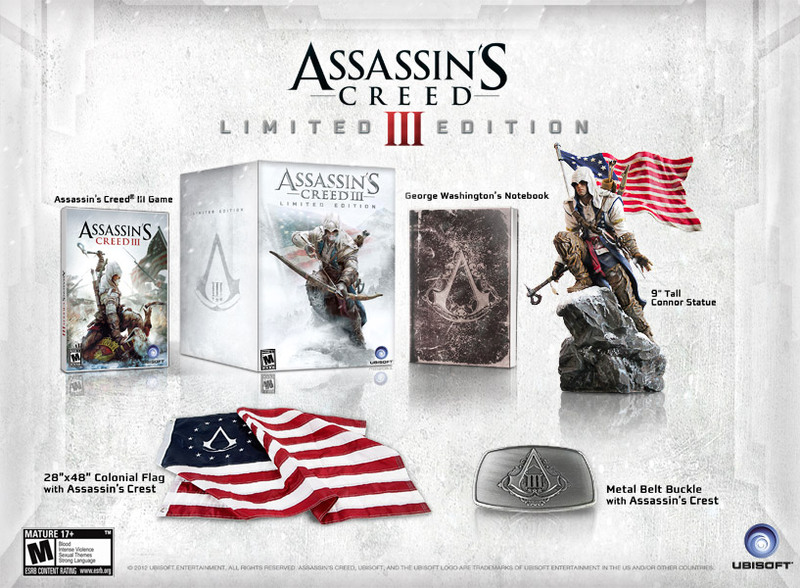 Apparently a Connor statue, metal belt buckle and a somewhat tasteless colonial flag weren’t enough to warrant the $119.99 price tag for the Assassin’s Creed III Limited Edition, as “George Washington’s Notebook” will now also be included in the set. If you were already getting the LE, free bonus for you. If you weren’t, well, we don’t blame you. First person to fashion the flag into a bandana and rock that belt buckle gets our undying respect.